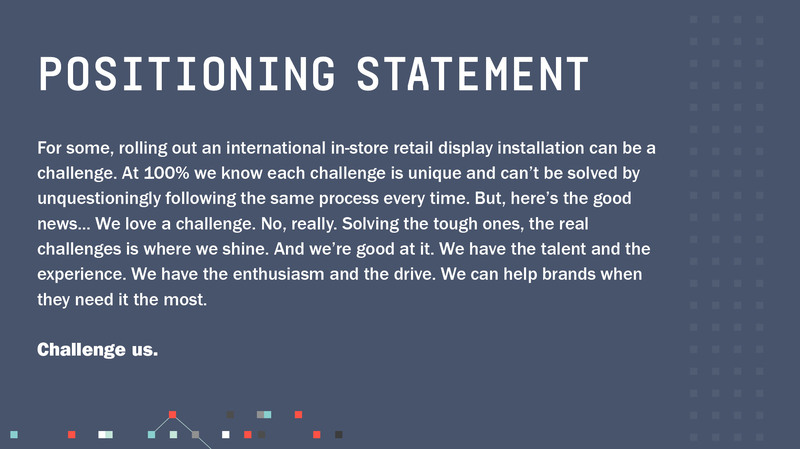 100% specialise in international retail display and graphic installations, working on projects with major consumer brands around the world from their base in Manchester. 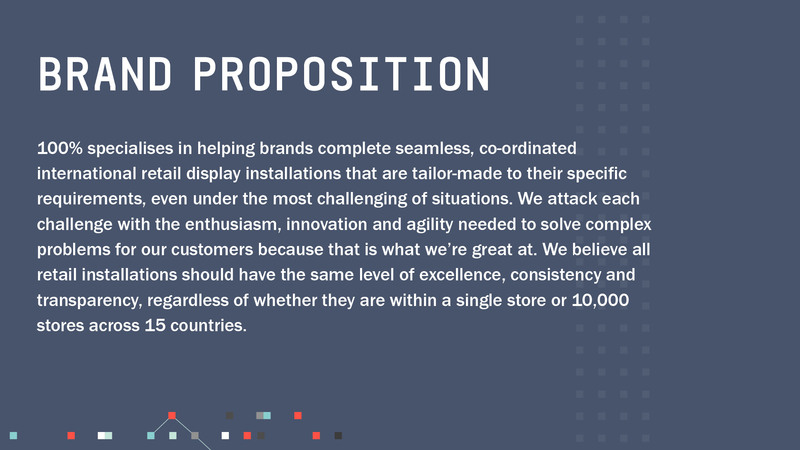 The 100% team have delivered POP/POS displays and activated in-store marketing campaigns for brands such as GoPro, Audi, Adidas and Beats by Dre. 100% needed an updated brand identity that would communicate their international capabilities to a new audience and capture the essence of the business. 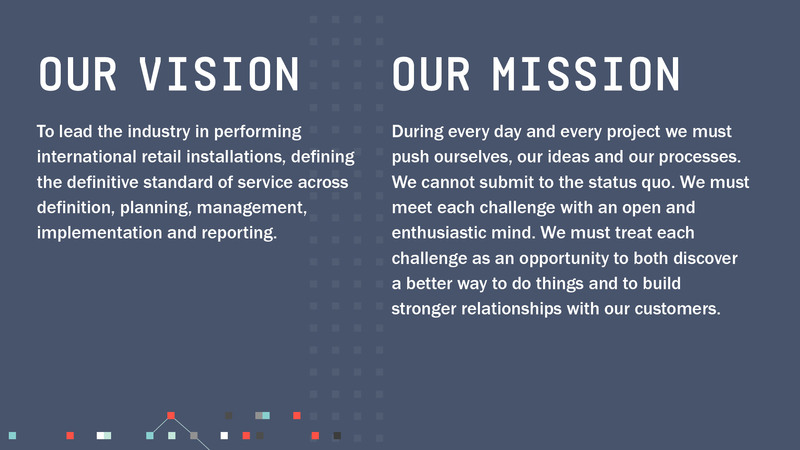 The new visual identity and tone of voice would be developed and then rolled out across all major brand touchpoints, including the 100% website and industry events. 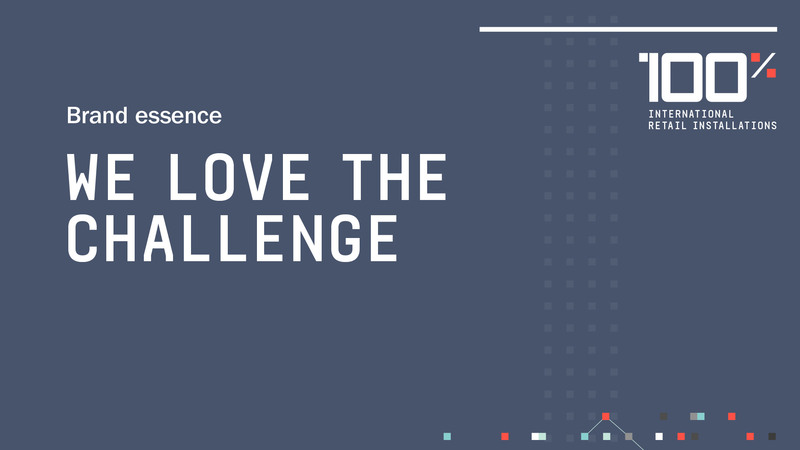 Voice of customer interviews and a brand workshop attended by key business stakeholders, together with extensive competitor research, helped us to uncover 100%’s biggest strengths and challenges. This insight was used to create a market-facing value proposition – the real challenge is where we shine – to encapsulate 100%’s personality, values and the core benefit of their offer to retail brands. To tell the brand story, this essence was combined with visual elements representing 100%’s global outlook and commitment to finding solutions in challenging circumstances. 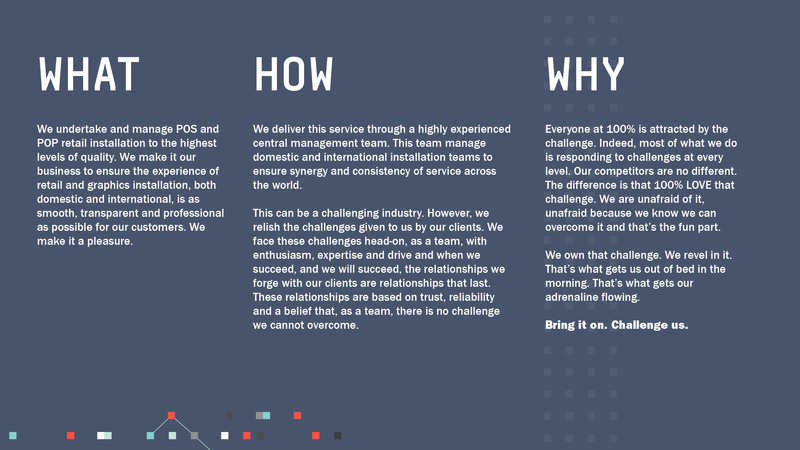 The 100% website was rebuilt to present the updated identity, with a user experience designed to suit both of the company’s main audiences – retail brands and third-party installers. Trade advertising to support the launch was created and new sales collateral produced. We supported the 100% team in rolling out the new brand identity at a major industry event, Retail Design Expo.